This extension automatically creates lists of Magento customers who abandoned their cart. 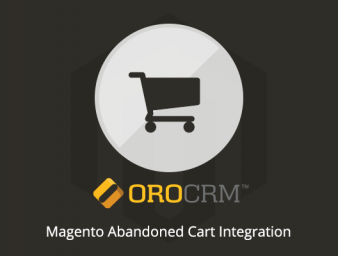 Users can automatically create an abandoned cart list,segment customers based on predefined fields and requirements, and launch targeted marketing campaigns directly from OroCRM. 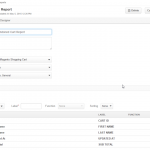 This extension automatically creates lists of Magento customers who abandoned their cart. 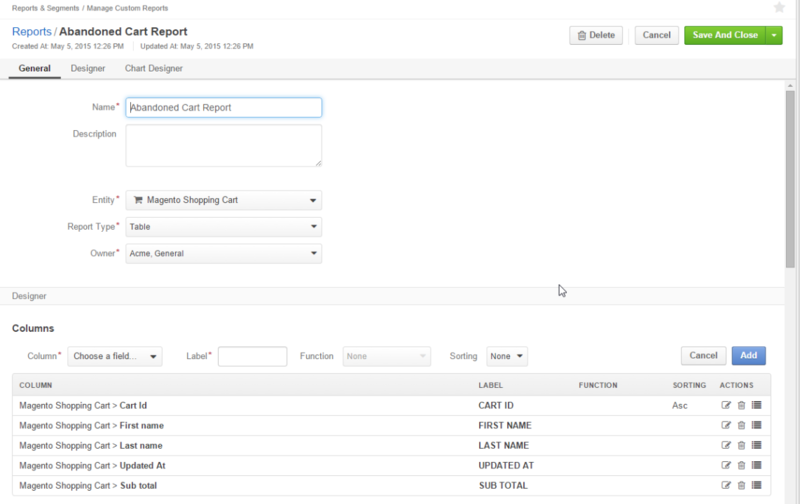 Users can automatically create an abandoned cart list, segments customers based on predefine fields and requirements, and launch targeted marketing campaigns directly from OroCRM. Before installing an extension please check Oro Documentation for extensions installation and management instructions. 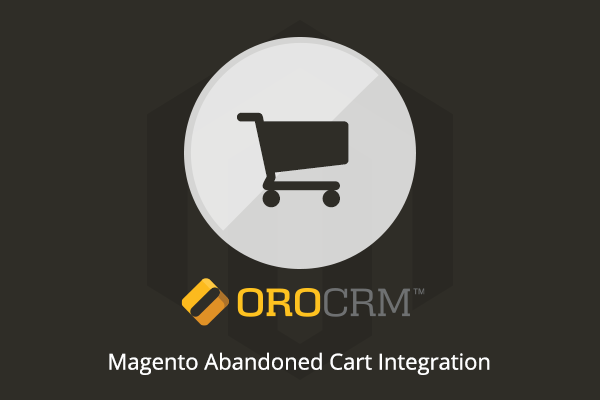 To launch OroCRM’s Magento Abandoned Cart Campaign please follow step by step guide.